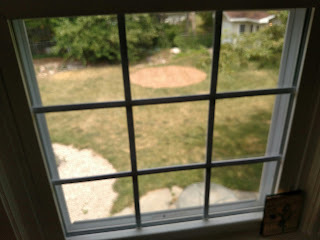 "What do you think caused that dead circle of grass in the backyard?" Gloria asked. "I'm guessing satanic rituals," I said. "Some sort of undead revival. There may be corpses." "I was thinking a trampoline," she said. "OR A TRAMPOLINE," I said. "Also possible."